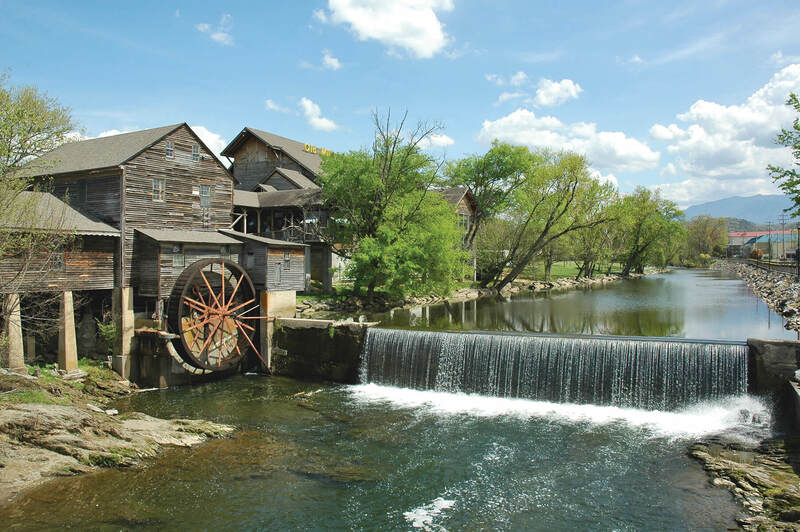 This wonderful Old Mill two bedroom cottage “Majestic Cove” is conveniently located less than one mile from downtown Pigeon Forge. Tastefully decorated with a modern charm, the cottage features a full kitchen, living room with a stacked stone gas fireplace and two full bedrooms. This cottage has an attached garage making it perfect for the car or motorcycle enthusiast. Just a minutes walk to the pool and hot tub located within the resort. Don’t feel like fighting traffic? Just walk a couple blocks to the trolley stop and downtown Pigeon Forge. A covered front porch makes the evening melt away after a long day exploring this beautiful area. Very clean, beautiful home and greatly enjoyed our stay!! We will be back next year. Super clean, easy to do business with, conveniently located, and nicely decorated! We were very comfy and would definitely rent this home again! Loved having the garage on rainy days! Comfy beds and spacious rooms! This is very close to the strip but not so close that you feel crowded. Thanks for helping us have such a great vacation! My family enjoyed staying in a place that felt like being at home. It was very clean. Beautifully decorated. Very quiet neighborhood. Very convenient area to stay. We would definitely stay there again. Our stay at 331 Majestic Cove was wonderful, we were so pleased to find that it was just as the pictures showed and more. Everything was so clean, still had the new smell to it. The furnishings and decor are very nice, loved all the wall art and the reading material was great. All the comforts of home, all you need are your clothes and food if you so desire to cook. Close to all shows, shopping and actives. Only thing lacking was somewhere to put your soap in the shower in the master bath. Will definitely stay there again and recommend it to friends.